As I’ve written previously, I’ve had a life-long love for movies and cinema-going. This time each year, I like to look back and make Top Ten lists of what were my favourite and least-favourite films during the previous year. So, without further ado and only in order of when I saw them throughout the year, here are my Top Ten Favourite Movies of 2010 (ie: movies that were first released in Australia during 2010). 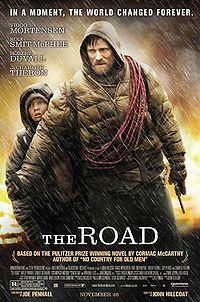 Shortly before The Road was released in Australia, I read the award-winning Cormac McCarthy novel that it was adapted from. At first, the novel took a little time to get into…but once I did, I read half of it in one sitting and finished the rest the next day, because The Road turned out to be one of the most grim yet compelling stories I’ve ever read. Fortunately, the film complements the novel perfectly – while the post-apocalypse world that Viggo Mortensen’s character and his son is unrelentingly depressing, and their days seem to blur together with no hope and joy whatsoever, like them you’re compelled to keep on going. Like George, Viggo is another favourite leading-man of mine, and in The Road he plays one of his greatest roles yet – a man who, despite whatever his crummy world throws at him, keeps on keeping on. 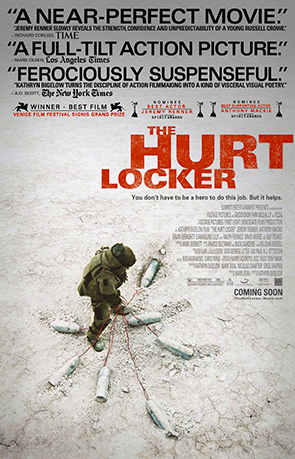 It took a long time for The Hurt Locker to finally get released in Australia – and by the time it did, the hype surrounding it was almost off-putting (especially the claims from some that it was the greatest film ever made). To my relief, however, The Hurt Locker turned out to be an engrossing and powerful piece of cinema. It’s a matter-of-fact and straight-forward film, but therein lies its strength – by simply showing what it’s like for Jeremy Renner’s character to defuse bombs in Iraq, The Hurt Locker becomes increasingly unnerving yet gripping. Before this Argentinian movie won the 2010 Oscar for Best Foreign Film, I had never heard of it – but the more I read about it soon after, the more intrigued I became, and I kept hoping that it would get a cinema run here in Australia. Fortunately, Secret soon arrived for a brief season on the arthouse-cinema circuit – and not only did it go straight into this Top Ten after I saw it, but also within this group it’s one of my favourites. For me, most of the best foreign films I’ve seen are like a splendid long meal – they take their unhurried time being enjoyable, and as the end nears you’re reluctant to get up and leave. Secret was another great example of this – it patiently told its dual stories of the decades-long quest to solve a hideous crime and the decades-long relationship of two friends yearning for much more, and by the time you reluctantly came to film’s end you truly felt that you had spent years being absorbed by both stories (and the resolution of the crime story was a stunning moment that, in the session that I attended, had many viewers gasping). As well, I thought the female lead Soledad Villamil was very beautiful – I didn’t want to stop looking at her. 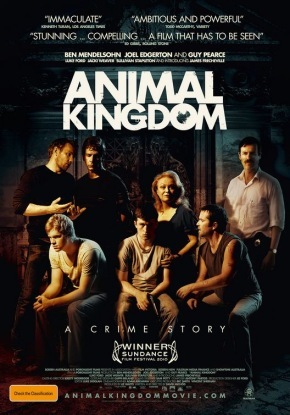 …but not only was I pleasantly surprised by Animal Kingdom, I was riveted by its grim yet gripping story of suburban crime in Melbourne. While crime can pay handsomely, it can also cost heavily – and Animal Kingdom excels at making it look especially banal, cruel and ugly. What helped make Animal Kingdom work was its top cast of several generations of leading Australian talent. 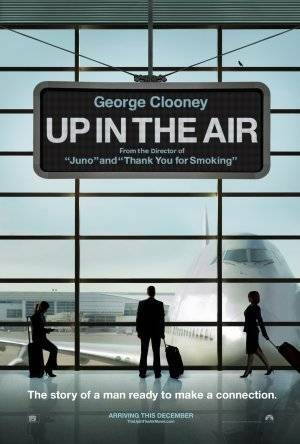 Like Up In The Air, the funny and moving Greenberg struck a chord with me – but in a different way. As I watched Ben Stiller give an excellent performance as the frustrated yet frustrating Roger Greenberg, I saw past and present elements of myself that I didn’t like. True, I have been aware of those elements for years, but seeing them on display again in Greenberg was confronting and uncomfortable…but also thought-provoking towards action to do something about those elements. Yet as tense as Greenberg got at times, at least Roger Greenberg didn’t have to endure what Ryan Reynolds’ character had to go through in Buried. And not only did he have to spend the entire film buried in a coffin somewhere in Iraq and using his mobile ‘phone to desperately call for help from an increasingly unhelpful outside world…but during one moment that made everyone in my cinema session gasp, Ryan made the awful discovery that he wasn’t the only living thing within that confined space (and the method he used to try and get rid of his unwanted guest was inspired yet downright nuts at the same time). If Alfred Hitchcock were still alive, I’m sure he would have thoroughly enjoyed Buried – it’s very much the type of nail-biting thriller that he was famous for making. One of my favourite films of the 1970s is the classic All The President’s Men, which tells a complex and startling story almost entirely through dialogue – and with a good deal of that dialogue spoken by characters on the ‘phone. 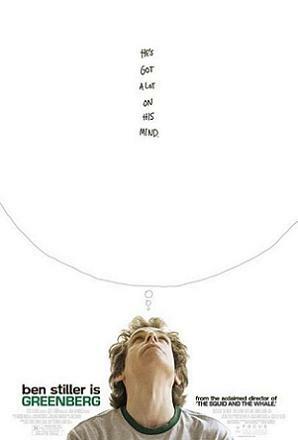 The Social Network reminded me very much of All The President’s Men. 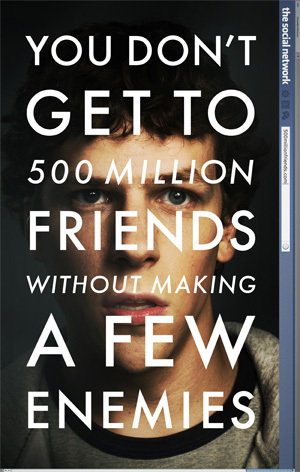 This engrossing account of the story of Facebook is similarly complex and takes place mostly in meeting rooms and at computer desks – but thanks to Aaron Sorkin’s excellent screenplay, David Fincher’s great direction and a wonderful cast, it is never dull. A modern-day Western tale of justice and vengeance set in an Australian country town, Red Hill was great fun – and at the end, very moving. 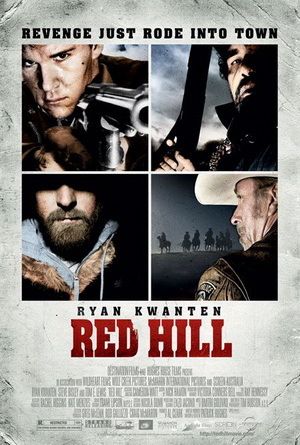 If you love Westerns about righteous revenge and underdog heroes, and if you’re also intrigued about how this story plays in a current Australian setting, Red Hill is a film for you. 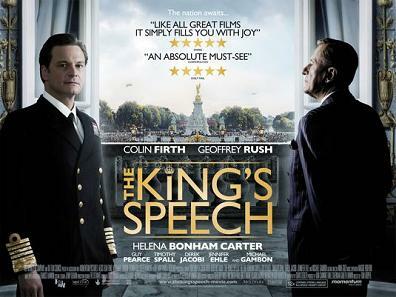 I admit it – several times throughout The King’s Speech, I was almost moved to tears by this inspiring and powerful film about friendship, leadership and struggling to overcome a lifetime of crippling problems. Geoffrey Rush and especially Colin Firth were remarkable in their respective roles of the kindly and unorthodox therapist Lionel Logue and the future King George VI. They made me laugh and almost cry a lot with their wonderful performances. Other cast members like Helena Bonham Carter and Guy Pearce provided solid support. 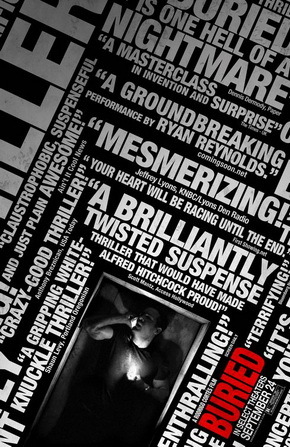 What were your favourite films in 2010? This entry was posted in Gratitude, Happiness, Inspiration, Life is Good. Bookmark the permalink.